H.E. 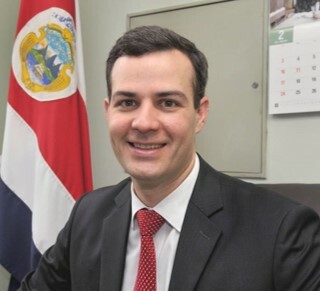 Alvaro Cedeno is Ambassador at the Embassy of Costa Rica in Japan. Prior to this he was Commercial Counselor at the Embassy of Costa Rica in Beijing, China. He has also served as Chief of Staff with the Ministry of Foreign Trade of Costa Rica. He holds a Masters degree in Public Policy and Management from Heinz College Carnegie Mellon University and Master of Philosophy, Peace Studies and Conflict Transformation. He was awarded with Excellence award at Carnegie Mellon University and he is a frequent speaker at conferences and public events.